By Tatiana Prowell, M.D. and Richard Pazdur, M.D. Researchers at an international oncology conference held in October in Spain reported that pertuzumab, which was FDA-approved for treatment of HER2+ metastatic breast cancer in June 2012, improved survival by an average of nearly 16 months when added to standard treatment. This was yet another piece of good news, and one of unprecedented magnitude, for patients living with what was once the most dreaded type of breast cancer. In the past, the next step would have been to wait for years while large clinical trials were conducted to determine if the drug also worked for earlier stages of breast cancer. This is beginning to change. Although most women diagnosed with early breast cancer have surgery first to remove their tumor and then drug treatment to reduce risk of recurrence (as “adjuvant therapy”), it is also possible to give the same anti-cancer medicines before surgery (as “neoadjuvant therapy”) with equally beneficial results. Most breast cancers will shrink when drugs are given before surgery, and some will completely disappear by the time of surgery. This is called a pathological complete response, or pCR. Patients with a pCR at the time of surgery are at much lower risk of having their cancers “metastasize,” or spread, in the future. To help speed drug approval for high-risk patients, in May of 2012, we proposed using pCR as a new endpoint that could support accelerated drug approval in high-risk early breast cancer. The basis for drug approval in early breast cancer to that point had generally been disease-free survival (how long patients survive without their cancer coming back) or overall survival. Such long-term outcomes remain tremendously important both to patients and regulators and will continue to be measured in clinical trials of every drug for early breast cancer. But relying exclusively on these outcomes for drug approval creates a gap of 5-10 years between approval for metastatic breast cancer and subsequent approval for use in patients with earlier stages of the disease. In October, we finalized FDA’s policy on use of pCR for accelerated approval in high-risk early breast cancer. Since we first proposed to rely on the endpoint for approval more than 2 years ago, we have learned a lot. FDA staff have spoken in conferences around the country, held webinars, and reviewed dozens of comments on the policy from academia, pharmaceutical companies, patients, and engaged citizens. We hosted an open public workshop that gathered breast cancer thought leaders, patient advocates, drug developers, and regulators, and produced consensus on use of pCR to support accelerated approval. To refine our understanding of pCR as a regulatory endpoint, FDA also led an international effort to pool data from more than 12,000 women enrolled in neoadjuvant trials. So where are we in 2014? This pathway clearly has the potential to put the most promising drugs in the hands of the highest risk breast cancer patients years earlier than would ever have been possible previously, and in so doing, may increase their odds of cure. Nonetheless, uncertainty remains about how well pCR rate can predict a drug’s ability to improve outcomes for patients with high-risk, early breast cancer, and what magnitude of increase in pCR rate is meaningful. For now, to make our decisions on accelerated approval in early breast cancer, we will rely on everything we know about a drug: the science behind how it works; how effective it is in other types of cancer or in more advanced stages of breast cancer; how well other drugs in the same class work; what side effects the drug causes, and how much it increases pCR rate compared to what can be accomplished with standard treatment. Our first approval of a neoadjuvant drug for high-risk, early breast cancer occurred in September 2013. 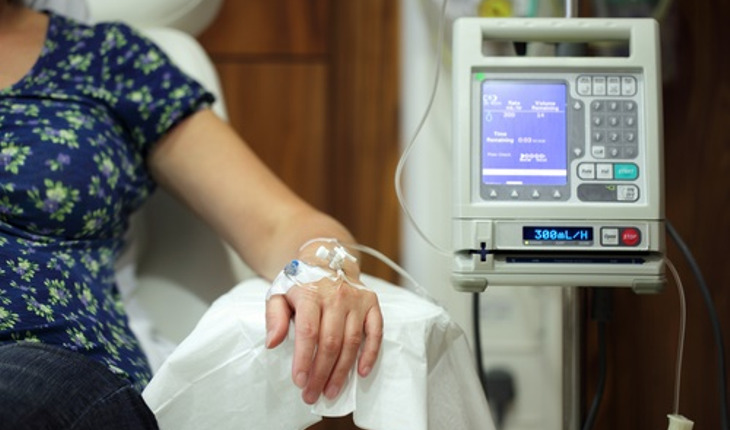 Pertuzumab was granted accelerated approval upon the basis of pCR rates and safety data from two neoadjuvant trials of the drug, as well as earlier efficacy and safety results from the metastatic breast cancer trial. At the time it granted accelerated approval, FDA required the sponsor to conduct a large adjuvant trial to confirm that pertuzumab does in fact reduce the risk of recurrence or death for women with earlier-stage tumors. The first results of that trial are expected in about 2 years. There will always be uncertainty whenever we grant an accelerated approval for a neoadjuvant breast cancer drug, and this case is no exception. But, for the first time, women facing a new diagnosis of high-risk HER2+ breast cancer and their doctors will be able to decide whether the benefits and risks of pertuzumab make sense for them. There is still much to be done, but this is an important first step. Tatiana Prowell, M.D., is Breast Cancer Scientific Lead, Division of Oncology Products 1, Office of Hematology Oncology Products, at FDA’s Center for Drug Evaluation and Research.